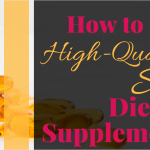 If you’ve read the post, How to Find High-Quality, Safe Dietary Supplements, you learned that “dietary supplements” is an umbrella term. 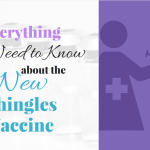 It includes several smaller categories, like vitamins, minerals, and herbals. 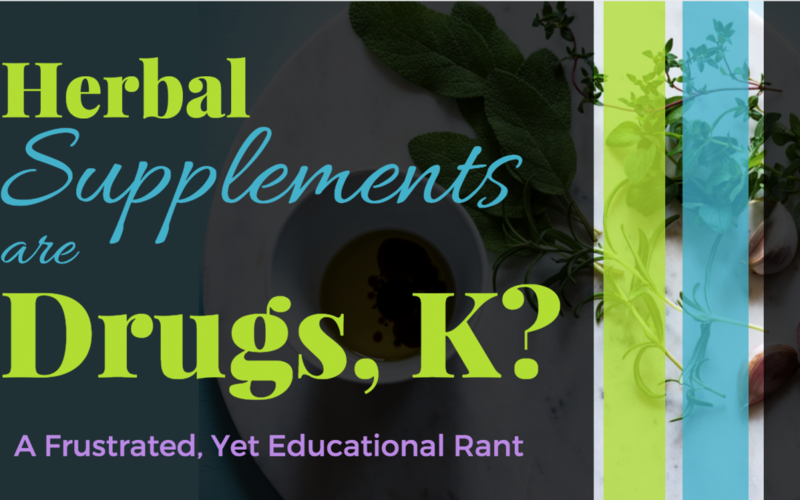 This post focuses on herbal supplements because many people are misinformed about them. Today we’re going to set the record straight. The word “natural” gets thrown around in regards to herbal supplements all the time. Yes, the materials that make up herbal supplements are in some way derived from natural sources, like plants, roots, and tree bark. But the word “natural” used in this context can be misleading. Well, for many people, “natural” implies inherent safety simply because the product comes from something produced naturally in the environment. “Natural” doesn’t always mean better or safer. Point #1: Supplements do not have a monopoly on nature. Some of the best pharmaceuticals known to man were also discovered from plants and natural sources. Digoxin and atropine are two life-saving drugs that were derived from plants. Irinotecan and vincristine, two chemotherapy drugs that were derived from plants. Point #2: The plant or natural source that an herbal supplement is derived from may be “natural,” but that doesn’t mean your supplement is. Have you ever looked at the ingredients in your supplements and noticed “blah-blah-blah proprietary blend”? The FDA requires supplement-makers to list all of a supplement’s ingredients and the amounts of those ingredients on the label. Many times, “blah-blah-blah proprietary blend” is the supplement-maker’s way to get around that requirement. The company may list out what’s in the proprietary blend, as you can see in the picture below, but they won’t tell you the actual amounts of the ingredients in that blend. 1. They don’t want anyone else to be able to recreate it. 2. They may not want to tell you exactly how much of the herbs are in each dose of medication, possibly because it’s a dash of herb and heap of random BS. 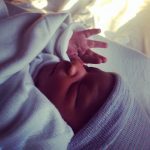 Point #3: Natural does NOT always mean safe. Ephedrine is a drug related to the notorious weight loss supplement, ephedra. The US Food and Drug Administration banned ephedra in 2004 due to thousands of poisonings and several deaths caused by the herb. Ephedra was “natural” but also caused significant harm. I’m not saying that all herbals that can be dangerous are dangerous. Most things can be dangerous in excess. Point #4: Herbal supplements can cause major drug interactions. Let’s talk about the biggest offender: St. John’s Wort. You know how grapefruit juice interacts with lots of drugs? Well, think of St. John’s Wort as the herbal grapefruit juice. 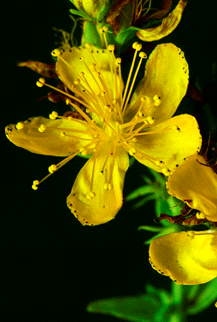 Some people use St. John’s Wort because it has anti-depressive properties. It makes sense that if you suffer from depression, you might also be taking prescription antidepressants, right? Sure! SJW increases the potential for side effects from antidepressants and can lead to serotonin syndrome, a serious condition. Beyond antidepressants, SJW interacts with a host of other medications. I don’t even have room to list them all, but feel free to read for yourself here. Point #5: Herbal supplements can cause side effects, too. Since we’re already talking about St. John’s Wort, let’s go a little deeper. 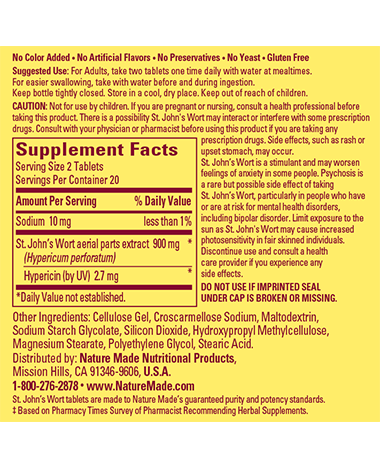 This is a label from Nature Made’s St. John’s Wort product. Nature Made is actually one of the more reliable supplement brands out there because their products are USP-verified. The US Pharmacopoeia (USP) is a reputable organization that sets quality standards for medicines and supplements. As a pharmacist, I only recommend USP-verified supplements. You can learn how to find them in this post. Anyway, check out the back of Nature Made’s SJW label. Potential for rash or upset stomach, anxiety, psychosis, photosensitivity… Herbals can potentially cause side effects, just like pharmaceuticals can! “Natural” or not – herbal supplements are drugs. Like I mentioned in the previous post, FDA does not regulate dietary supplements in the same way that they regulate drugs. However, this is a regulatory decision, not a scientific decision. Just because FDA doesn’t regulate supplements, including herbal supplements, as drugs does not mean that herbal supplements are not drugs. As far as I and many other healthcare providers are concerned, herbal supplements are indeed drugs. A chemical substance that is put into or onto your body in some way that you expect to have a biological/physiological effect. 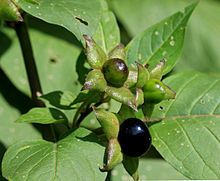 When you take an herbal or use an herbal as a paste or some type of skin treatment, is it with the expectation that the herb will produce some type of effect in or on your body? Then, simply put, it’s a drug. Does Your Friendly Public Health Pharmacist recommend any herbal supplements? 1. Talk about herbals with your primary care provider BEFORE you begin taking them. Herbals can impact any health conditions you have, and they can also interact with medications. 2. 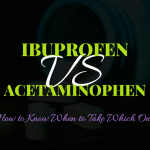 When your PCP or pharmacists asks what other medications you take, tell them about OTC medications, prescription medications, AND dietary supplements like herbals. 3. If you do choose to take any supplements, stick with ones that are USP-verified. Check out this post for information on how to find USP-verified supplements. Herbal supplements can dangerously interact with other drugs. Herbal supplements can cause side effects like other drugs can. Some herbals can be a beneficial (or at least neutral) component of preventive care, but some can also be harmful. Know that if your healthcare provider does not support or recommend herbals, it’s not because she wants you to be unhealthy. It’s not because he wants to keep some secret from you. It’s because we are concerned for your safety and cannot ethically recommend a treatment that hasn’t been scientifically proven to be safe or to work. Just keep in mind, the word ‘drug’ isn’t a bad thing. I think people need to remove the stigma around the word to open people up to more possibilities.